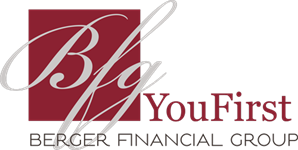 Each week Berger Financial Group puts together a brief video called the Berger Brief that talks specifically about financial planning topics. The topics range from financial services basics, to financial industry nuisances that are more complex. 4/3/2019 - Cash: Safest Investment? 3/11/2019 - Stocks Less Risky Than Bonds? 11/20/2018 - Normal Market Movement? 3/14/2019 - When to Adjust? 12/11/2018 - Debt or Invest? 11/28/2018 - Which Moves First?